Private 31076 Christopher Charles Harrison, 5th Battalion, Northamptonshire Regiment. Christopher was born in Cold Ash in 1893 the son of James Henry Harrison and his wife Lizzie née Knott. The family is difficult to track as their names seem to change for each census! In 1910 Henry J and Lizzie Harrison have two children Christopher and Henry, yet in 1911 James and Louisa Harrison have two children Charly (perhaps this is how Christopher Charles was known at the time) and Henry. Although living in the same terrace of houses the two addresses are not the same – 8 and 27 Smith’s Crescent in Shaw Road, Newbury. Yet these do seem to be the same family - the ages and birthplaces are pretty consistent and the forenames in 1911 were expanded from initials, perhaps by the enumerator rather than a family member – which could account for some confusion. records in the Arnley Street fire of 1940. The research was also much confused by the far more apparent presence of another Christopher Charles Harrison, born in Newbury in 1888, father another James Henry; he served with the 8th Battalion, Royal Berkshire Regiment and was wounded in action. However, he survived the war and did not die until 1957. The key to the identification comes from the 1911 census entry which lists the employers of each of the males in the family – ‘Charly’ is employed as a gardener by Mrs Farqhuar. This was the owner of Shaw House; this employment was mentioned in Christopher’s obituary (below). 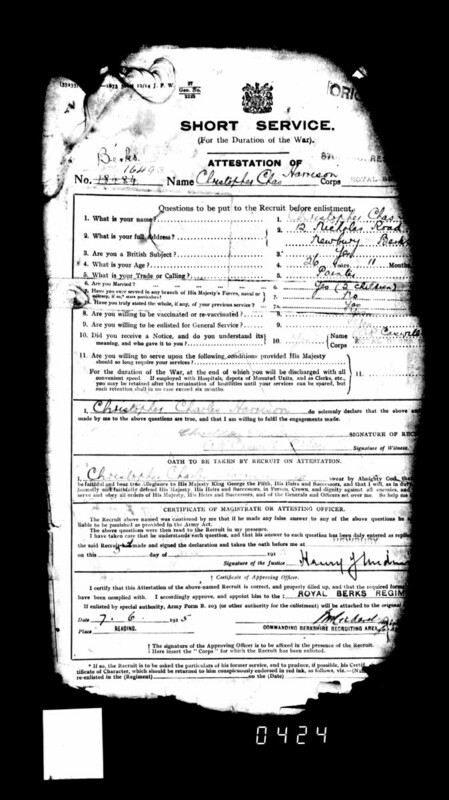 Allthough it appears that he was known as Charly by many he will be referred to henceforth as Chris – the name used by his parents in an In Memoriam notice in 1918 (see below). Chris was educated at Speenhamland School before leaving and in time finding work at Shaw House. From there he moved to Althorp in Northamptonshire, working for the Earl Spencer (the 6th Earl, great-grandfather of Princess Diana). 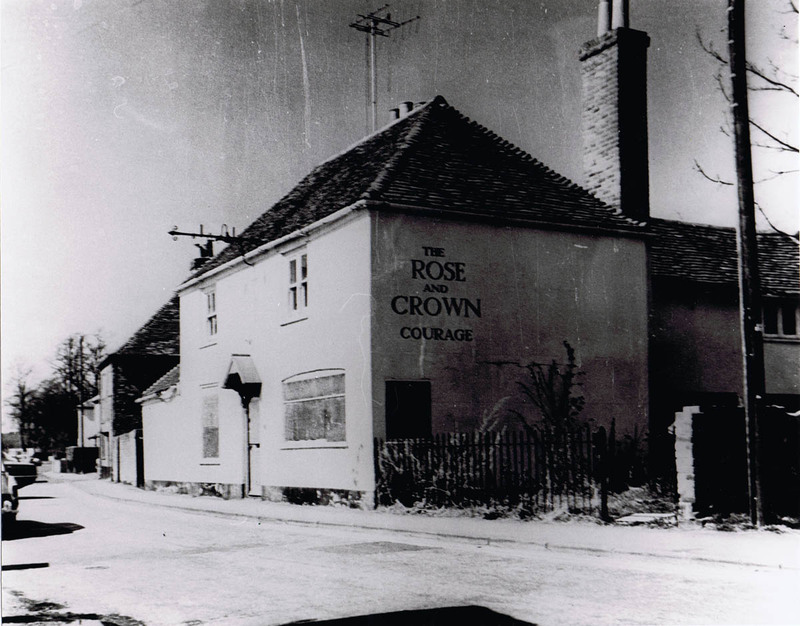 In 1913 his father had a change of career, taking over as landlord of the Rose & Crown in Northcroft Lane, Newbury. He would remain as licensee until 1920. The Rose & Crown in Northcroft Lane, home to the Harrison family from 1913 to 1920. When war was declared in August 1914 Chris was one of the young men who rushed to the local recruiting office (in his case in Northampton) and signed up. He joined the local Territorial Force (4th Battalion, Northamptonshire Regiment). Pre-war Territorials enlisted to serve in home defence; they were asked to sign the Imperial Service Obligation, allowing the authorities to send the men to fight overseas. Most signed and were formed into ‘1st Line’ units; those not signing becoming the ‘2nd Line’ units. Thus the 4th Battalion Northamptonshire Regiment became the 1st/4th (or 1/4th) and 2/4th Battalions. From September 1914 new recruits were not given the option , they were expected to sign the Imperial Service Obligation. As there were often not enough of the pre-war Territorials to man the 1st line battalions at full strength a number of new recruits were used to make up the numbers (others would train with the 2nd line unit or specially formed 3rd line reserve units). 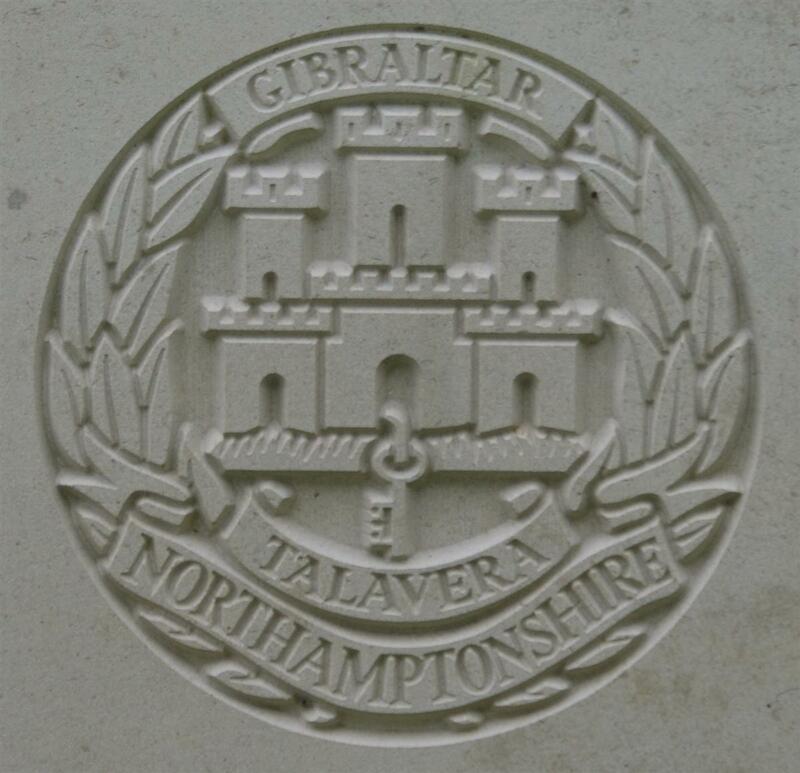 The regimental badge of the Northamptonshire Regiment, as used on CWGC headstones. Chris was with the 1/4th Battalion by the time it was sent overseas – to the Medditerranean Expeditionary Force – his destination was Gallipoli. The battalion was a part of 162nd Brigade, 54th (East Anglian) Division and landed at Suvla Bay on 15 August. During the battalion’s time in Gallipoli Chris was wounded severely enough to warrant his repatriation to the UK. The battalion spent much of its time on the peninsula in what the war diary refers to as ‘garrison duty’ at Hill 60. This was frontline duty in poorly constructed defensive positions within range of Turkish guns on the surrounding (an much higher) hills. 35 other ranks were killed and 129 wounded in the 35 days the battalion manned those positions up to the end of November (it was evacuated from the peninsula on 13 December). This is the most likely place for Chris to have been wounded, but there were casualties elsewhere; no record has been found to give the date he was wounded. Back in the UK Chris recovered from his wound and in time was sent back to frontline action, this time in France. He was wounded again, and suffered from enteric . Once again he was repatriated for treatment before returning to the front, this time with the 5th (Pioneer) Battalion, Northamptonshire Regiment. Pioneers seem to have a poor reputation – where the less intelligent men served doing menial tasks – this is rot. Pioneer battalions were created by many of the County Regiments in response to a need for skilled and semi-skilled labour in the front line. While the ordinary infantry man would often be used for labouring jobs the pioneers were there to support the Royal Engineers in more skilled work. The 5th Northants was attached to the 12 Division as a divisional asset, used at the discretion of Divisional HQ to support any of the infantry battalions or artillery batteries as required. Unlike the Labour Corps that was formed in 1917 the Pioneers were far more likely to be fit for trench duties and were trained as infantry. When the Germans broke through the British lines in the spring of 1918 many Pioneer battalions fought heroic defensive actions. BC Coy working on GORDON AVENUE, PICK, VINE & ORANGE AVENUE, general repair & maintenance. Remainder same. 1 OR killed, 2 OR wounded. Any activity within range of the enemies snipers or artillery was dangerous work ; Chris was the OR (other rank) killed that day - by an artillery shell as the company was leaving the trenches after their day’s work. One of the “First hundred thousand” has met his death in France on October 16th. The man who answered the call of his country in August, 1914, was Christopher Charles Harrison, whose father and mother live at the Rose and Crown, Northcroft-lane. He saw much service in the Northamptons, was wounded in Gallipoli, got better, and was sent to France, where he recovered from shrapnel wounds and had enteric. After being at home some time, he was sent out again, and met his death. He was leaving the trenches when a shell came over, and he was killed instantaneously. His father received two letters, one from his officer deploring the loss of a good willing man, and another from a comrade regretting the death of a cheerful companion. When in Newbury he was employed in Shaw House Gardens, and he was also a chorister at St Mary’s Church. He joined up in Northamptonshire, when he was a gardener to Earl Spencer. He was 24 years of age. 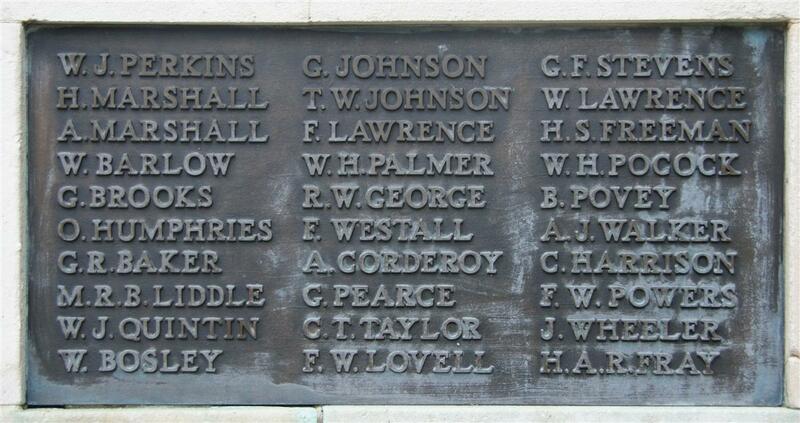 His name was also recorded on the memorial board placed in Speenhamland School to commemorate former pupils who died as a result of their war service. HARRISON – In ever loving memory of our dear son, Chris Harrison, killed in action on Oct 16, 1917. From his ever loving Mother and Father, L and J Harrison.